Last year we scoured the country for these great consumer companies and selected 25 of the most innovative. We’re at it again this year, and excited to present 2014’s CircleUp25. How we chose. First, the ground rules. Companies had to be privately-held to be nominated. (Nothing against publicly-traded companies, it’s just that our domain is in the private markets.) To avoid bias, we also excluded from consideration companies CircleUp has worked with in the past or is working with currently. We then curated a global network of experts and asked for nominations. Our network included consumer private equity firms and leading consumer investment bankers; consumer trade publications; national retailers with access to their own proprietary data; successful consumer entrepreneurs; third-party data providers analyzing industry trends; and consumer angel investors. We also wanted to hear from consumers, so we asked fans to vote for their favorite brands on Facebook and Twitter. Based on the tallied results we selected five Fans’ Choice Awards. Without further ado, we’re thrilled to present 2014’s CircleUp25 winners! Who? Danny Meyer’s Union Square Hospitality Group (USHG) delighted the masses with a hot dog stand at Madison Square Park Conservatory’s art installation from 2001 to 2003. 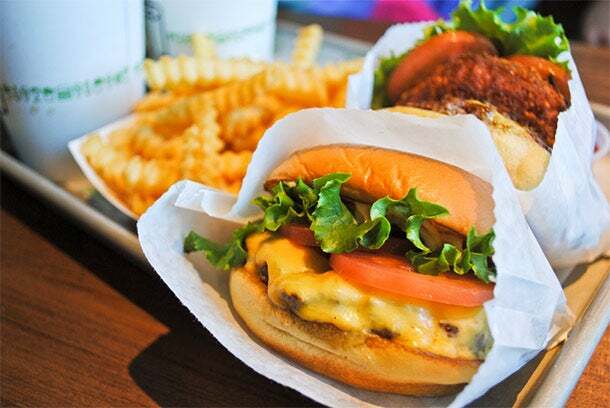 In 2004, it won the bid for a permanent kiosk in the park, and Shake Shack was born. Keeping an eye out for you. To help New Yorkers plan their daily burger schedule, the Shack Cam vigilantly watches over absurdly long lines at the original Madison Square Park location. Pro-tip: skip the the lines at Madison Square and stop by the Upper East Side location. Enjoy your burger (and the much shorter lines) outside the American Museum of Natural History. Who? 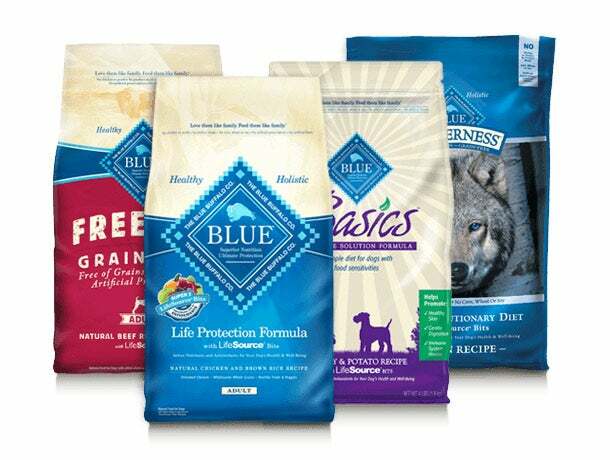 Bill and Jackie Bishop took a serious interest in pet nutrition after their large and loyal dog, named Blue, suffered from several health problems. The Rescue Waggin’. Blue Buffalo is a proud supporter of the Petsmart Rescue Waggin', an initiative that’s led to the rescue and adoption of more than 65,000 dogs. Who? Childhood friends Darek Bell, Andrew Webber and Amy Lee Bell began homebrewing out of their garage. They started with beer and wine but after trouble with a prototype bio-diesel plant, they decided to give whiskey a try. And whiskey they made. Lots of it. What they’ve built? 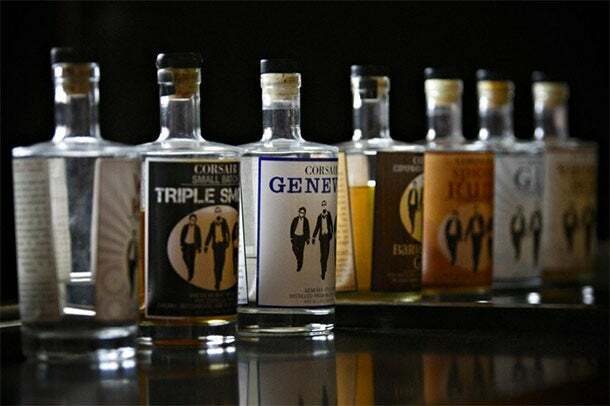 Makers of whiskey, absinthe, gin, vanilla bean vodka and spiced rum, the Tennessee distillery recently took home the “American Craft Distiller of the Year,” award at the annual Wizards of Whisky, with its signature Nashville Bourbon and Quinoa Whiskey claiming gold medals. The company is primed for growth: domestic sales of bourbon and Tennessee whiskey grew 10.2 percent in 2012 to $2.4 billion. (Think about that: there aren’t that many markets as old as whiskey growing 10 percent per year.) Not to mention international opportunities: exports of whiskey are growing at a torrid pace and passed the $1 billion mark for the first time in 2013, according to the Distilled Spirits Council (DISCUS). Who? Michael Preysman, 25 at the time, left a career in private equity to start Everlane in the fall of 2010. The impetus? His love for quality and simplicity -- and frustration with the lack of innovation in retail. Picture perfect. Everlane’s clean lines and minimalistic aesthetic is an Instagram darling -- IG masters such as @alice_gao, @emmatheyellow and @cloudsandcoffee are often found hobnobbing the brand. Who? Portland-native Benji Wagner founded Poler out of his garage to make accessible outdoor gear for the everyday adventurer. Less Bear Grylls, more couchsurfers and road-trippers. What they’ve built? 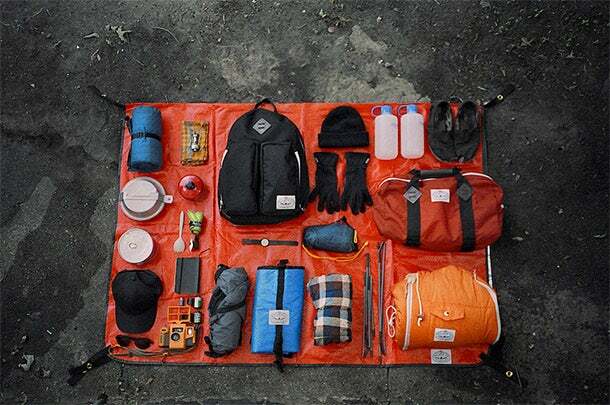 A camping and travel gear brand aimed at urban-based adventurers. Launching in 2011 with a debut line of tents, T-shirts and bags, it’s continued to grow through creative product design, beautiful storytelling and strategic partnerships, including a design collaboration with Nike and a distribution deal with Urban Outfitters. Cult following. Customers obsess over the company’s wearable sleeping bag (it's exactly what it sounds like. Check it out.). We’re convinced anyone who ever lays eyes on one will want one -- immediately (seriously). Who? Founder Yvon Chouinard has always strived to communicate his passion for the natural world into his line of technical, rugged outdoor clothing. What they’ve built? A global apparel brand that’s proving profits and purpose can, and should, align. Founded in 1973, the iconic brand may be more mature than its younger upstarts, but tired it is not. Between 2008 and 2013 profits more than tripled as revenues surpassed $600 million. Most brands that get to that level just rest -- Patagonia doesn’t. Growing through a recession is easier when customers love who you are and what you stand for, not just what you make. 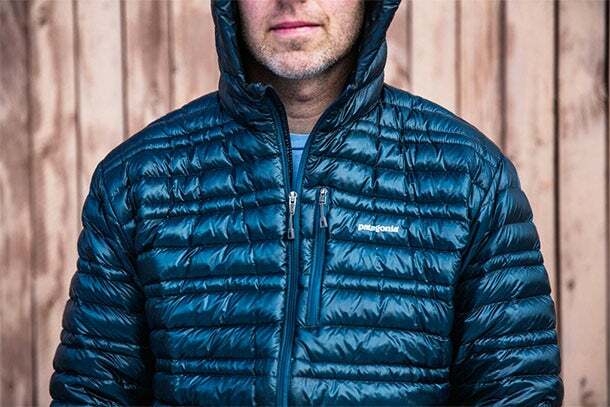 It’s one reason many of its larger competitors are jealous of the extreme brand loyalty Patagonia commands. Not your typical boardroom. The 75-year old Chouinard, a true renaissance man, surfs, climbs, kayaks, fly-fishes and falcons between board meetings. Who? Tory Burch worked for many of the world’s most influential designers, including Ralph Lauren and Vera Wang, before starting her eponymous brand in 2004. A CEO, designer, philanthropist and mother, Forbes ranked Burch as the 79th most powerful woman in the world in 2014. What they’ve built? A tech-forward, boho-chic empire of versatile and fashionable women’s accessories and apparel with high-profile clientele. From its single store nestled away in Manhattan’s Nolita neighborhood, Tory Burch has grown to more than 120 freestanding boutiques, and can be found across more than 3,000 department and specialty stores globally. The brand has diversified into many new product categories, including eyewear through a partnership with Luxottica, fragrances through collaboration with Estée Lauder, and on deck are timepieces with Fossil in 2014. Giving back. Elizabeth Street Capital, an initiative within Burch’s foundation, provides low-interest loans, networking opportunities and mentoring to female entrepreneurs. Who? Model Californian James Freeman -- freelance musician and coffee fanatic -- longed for a time before peppermint spiced lattes and caffeinated milkshakes. He vowed to make, serve and sell only real, fresh-roasted coffee, serving his first cups of Blue Bottle out of a kiosk in 2005. Freeman was joined by Bryan Meehan in 2012, the entrepreneur behind Fresh & Wild, a chain of organic markets that sold to Whole Foods. What they’ve built? Arguably the most recognizable cup in San Francisco’s coffee-congested culture. The now bi-coastal Oakland-based roasters bleed their beans no more than 48 hours after roasting. Raising $25.75 million in January this year from an eclectic group of investors including Google Ventures and Tony Hawk (on top of $19.7 million raised in 2012), the company is flush with cash and primed to grow. 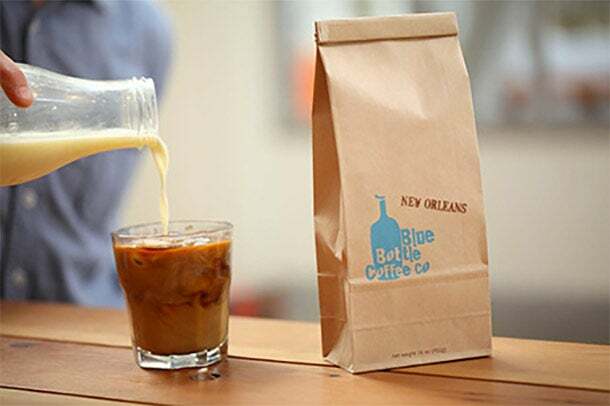 It recently expanded into Los Angeles with the acquisition of L.A.’s Handsome Coffee Roasters, and its acquisition of the coffee subscription service Tonx brings it one step closer to distributing premium Blue Bottle coffee to anyone, anywhere. Who? Co-founders Carly Brien, Hayden Slater and Hedi Gores started Pressed Juicery in 2010 out of a 22-square-foot L.A. storefront. What they’ve built? A dynamic online and offline brand that’s now distributing its subscription-based juicing program nationwide. With 19 real-world locations (at the time of this writing) and a bustling ecommerce operation, it’s attacking the “cold-crafted” juice and smoothie category, a growing market that Starbucks recently sized up at $3.4 billion. Speaking of Starbucks. Juicing is here to stay. Starbucks validated the category and went all in with its purchase of Evolution Fresh for $30 million in 2011, with plans to aggressively grow Evolution locations nationwide. Who? Co-founders James Park and Eric Friedman started the company in 2007, and struggled with manufacturing and design before being able to ship a product at the end of 2009. What they’ve built? A collection of wearable fitness bands that measure everything from steps taken, calories burned to sleep quality. FitBits range from $60 to $130. The genius isn’t just in the product, but the subscription. Customers pay $50 a year to view and manage key health metrics. 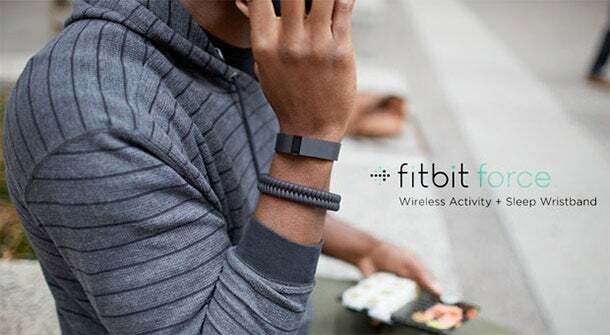 Research firm Canalys estimated FitBit owned 50 percent of the wearables market in early 2014 -- predicting the smart-band category will grow from 8 million units in 2014 to more than 47 million by 2017. Wearables may take some time to hit their stride, but it will be a major market. And few are better positioned than FitBit. Who? Founder Randy Hetrick, a 14-year Navy Seal veteran and Stanford MBA, began developing the Total Resistance eXercises as early as the 1990s, but didn’t begin marketing the product until 2005. What they’ve built? TRX has designed one of the most versatile pieces of exercise equipment in the world. Its flagship product, a suspension workout system, is decidedly simple, and leverages gravity to deliver full-body workouts anytime, anywhere, regardless of your fitness level. This product's dynamism is why you’ll see customers choosing one of TRX’s hundreds of workouts for everything from high-intensity strength training to injury rehabilitation. In an industry notorious for fads, TRX has not only stayed relevant, but also helped lead the market. Work hard, play hard. 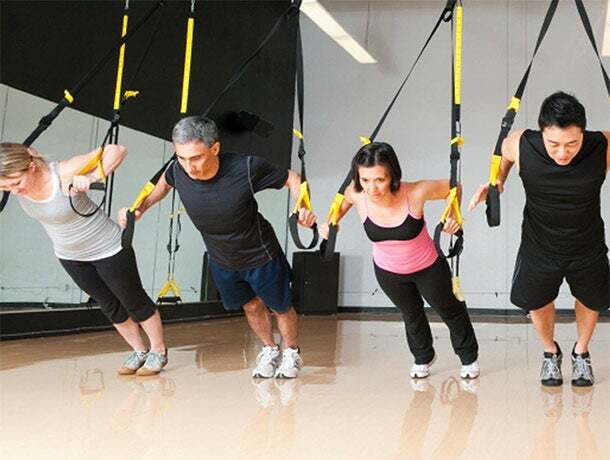 TRX hosts four exercise classes every day for employees. Who? Ruth Zukerman opened one of the first exclusive indoor cycling studios in New York City before teaming up with Jay Galluzzo to co-found Flywheel in 2010. What they’ve built? Flywheel is one of the fastest growing fitness concepts in the country. Since opening its first location four years ago, it’s grown to 25 studios. According to investment bank Piper Jaffray & Co, fitness studios are the fastest growing segment of the U.S. health-club industry, growing more than 450 percent a year since 2010. The company has heavily invested in technology to elevate the Flywheel experience. Its TorqBoard technology powers in-studio displays that measure riders' real-time performance data. Riders can access their individualized and relative data online or through the company’s mobile app. Hello, world. Flywheel has global ambitions and recently opened its first international studio in Dubai. Who? Meeting during undergraduate studies at Babson College, Kenneth Chen and Gautam Gupta re-united after careers in financial services to found NatureBox in early 2012. What they’ve built? 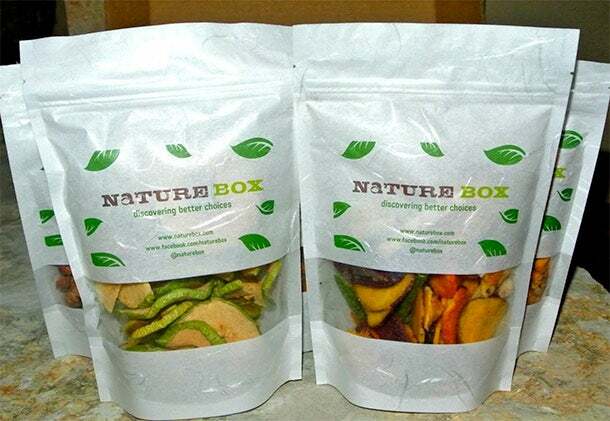 Naturebox is an online service that home-delivers an assortment of healthy snacks to consumers on a monthly basis. With more than 100 unique products, it ships to all 50 states (and Canada) and are attacking the $64 billion snack-food category. Coming off an $18 million Series B led by Canaan Partners, the company aims to double its deliveries to 3 million boxes in 2014, priced between $20 to $50 each. Talk about breakneck growth: hitting its goal will clock growth at an astounding 5,900 percent over 2012, when it delivered its first 50,000 boxes. Do good by doing well. 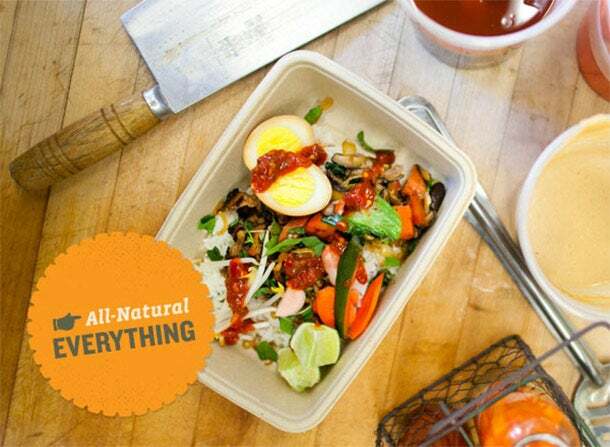 For every box it delivers, NatureBox donates one meal through Feeding America. Who? Mother of two Lizanne Falsetto founded ThinkThin to fulfill her desire for easy and nutritious food on the go. What they’ve built? 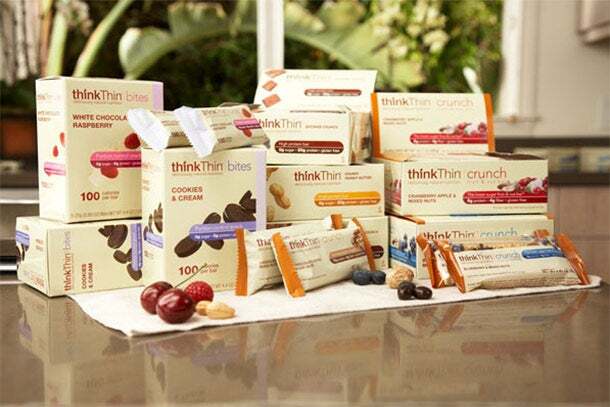 Denouncing refined sugars, ThinkThin makes gluten-free protein bars in a variety of decadent flavors. Forbes estimated the company’s revenue at more than $70 million in 2012. With the snack-bar category alone sized at $5.9 billion by Euromonitor, it has enormous room to grow. The snack and protein bar market is crowded, but also massive, and has seen few products that are truly nutritious and good tasting. Falsetto and her financial backers, TSG Consumer Partners, have broader ambitions, however. Expect to see expansion well beyond protein bars. Viva Italia. Falsetto grew up in a large Italian family and spent her early years in Seattle before setting out on a 14-year international modeling career. She began tinkering with recipes when she returned to the states, and found her first corporate buyer for ThinkThin at Trader Joe’s in 1999.
Who? Friends Joshua Tetrick and Josh Balk founded Hampton Creek in 2011. Coincidentally, each had promising collegial athletic careers prematurely ended by injury. What they’ve built? 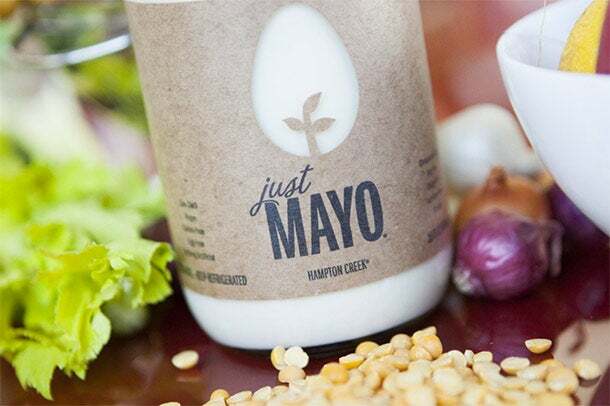 Hampton Creek is a food company with the mission of developing new plant-based foods that are less expensive, healthier and more sustainable industrial-production alternatives. It’s currently selling its first two products -- Just Mayo and Just Cookies -- through many of the country’s largest retailers, including Costco and Safeway, and recently struck partnerships with Krogers and Amazon. The future of food. Bill Gates listed Hampton Creek as one of the three most exciting companies in the world that are pioneering the future of food. Gates isn’t the only billionaire crazy about Hampton Creek -- Asia’s wealthiest man, Li Ka-Shing, led the company’s latest $23 million financing. Who? Leggo my … peanut butter! Yearning for an alternative to sugary energy gel packs, Founder Justin Gold began making his nut butter in 2002. His roommates couldn’t keep their hands off it so he started writing labels on his nut butter. His scribbled signature lives on as the company’s logo. What they’ve built? A local farmer’s market in Boulder welcomed Justin’s first sales. The company’s 12 employees now manage 12 varieties of nut butters as well as dark and milk-chocolate peanut butter cups. Sales were last reported at nearly $20 million in 2012, up from $2.9 million just three years prior. Sustainability is at the heart of the company’s mission. Its line of nut butters uses 100 percent post-consumer recycled plastic, and it sources ingredients exclusively from organic farms. Full speed ahead. Justin’s sold a minority stake in the company last October to California-based private equity firm, VMG Partners. 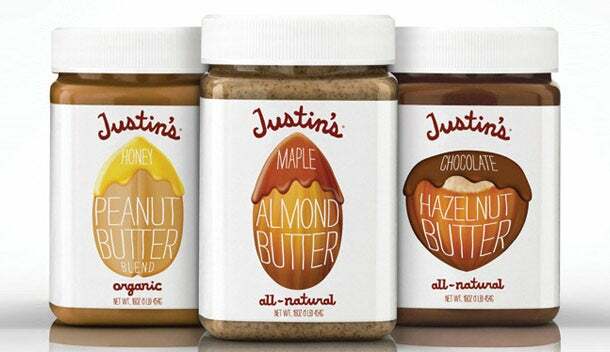 Justin’s joins other high-growth consumer product brands in VMG’s portfolio, including KIND, BabyGanics and Mighty Leaf Tea. Who? When Raegan Moya Jones moved to the U.S., she couldn’t find the muslin swaddles used by mothers across her native Australia. Pregnant with her first child in 2006, she decided to be the solution. Partnering with Claudia Schwartz, Aden + Anais was officially born in 2006. What they’ve built? Aden + Anais sells infant and toddler-wear. Its signature muslin products have been widely acclaimed for improving comfort and breathability. Founded in Brooklyn, NY, the company’s products can now be found across thousands of locations in 63 different countries. The “Kate Middleton” effect. Prince George left the hospital wearing none other than Aden + Anais’ signature muslin swaddle blanket. Within a day of fashion bloggers surfacing the photo, the company’s site came to a grinding halt under the pressure of skyrocketing traffic. Sales spiked more than 600 percent over the next 10 days. Who? Engineering was an alien field to founder Debbie Sterling until a high school teacher recommended she choose it as a major. She graduated four years later with a degree in mechanical engineering from Stanford, and set her sights on the overwhelming gender imbalance in the field -- where nearly 90 percent of professionals are men. Starting GoldieBlox in 2012, she hopes to give girls inspiring and hands-on engineering experiences that she never had. What they’ve built? GoldieBlox is more than a toy, it’s an experience. Aimed at girls between the ages of 5 and 9, it includes a storybook and construction kit. Girls encounter engineering challenges as they progress through the story (available as a book), and are encouraged to tinker away at creative solutions. The company’s initial sales were direct-to-consumer. It opened its first major retail doors with Toys”R”Us in 2013. At last year's Google Zeitgeist, an invite-only gathering of influencers from around the world, Sterling’s presentation on Goldieblox received a booming applause from a captivated room. Kickstarted. 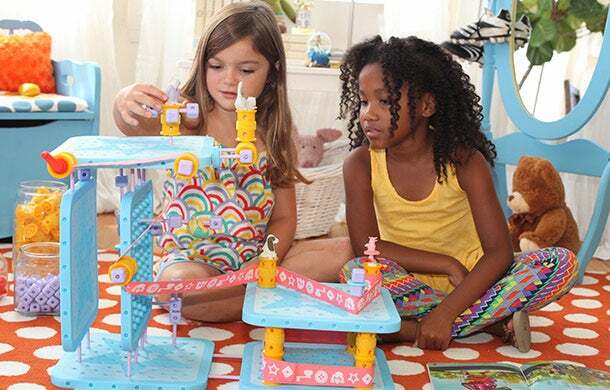 Looking to validate her idea before investing in production, Sterling launched GoldieBlox’s Kickstarter campaign in September 2012. She set a goal of $150,000 and in less than three weeks pledges (mostly in the form of pre-orders) reached $285,881. Who? Celebrity designer, stylist and editor Rachel Zoe teamed up with Creative Artists Agency Executive Robin Moraetes to found DreamDry in 2012. What they’ve built? 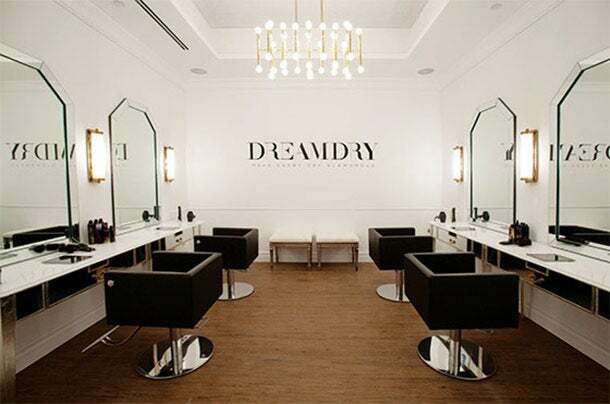 Young and growing, DreamDry is an innovative blow-dry and styling concept. 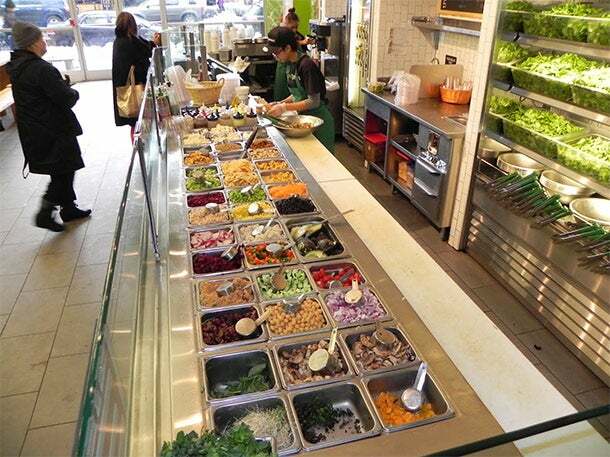 The company debuted its first location in NYC’s Flatiron neighborhood in 2013 and quickly expanded to a second location in Columbus Circle. Each location is now doing roughly 4,000 blowouts a month, up more than 150 percent year over year. Its top customer is nearing her 300th blowout. While NYC will always be the company’s home, the founders say, the duo has global ambitions. Who? Motivated by a vision to reinject individuality and joy into the cosmetics industry, Jerrod Blandino and Jeremy Johnson became the two faces behind Too Faced in 1998. What they’ve built? A complete line of cosmetics ranging from shadows and glimmers to foundations and blushes. With distribution in more than 1,800 stores, the company is aggressively growing its international presence (500 doors at last count), and has plans to move into new product categories. Who? Georgetown alums Nicolas Jammet, Jonathan Neman and Nathaniel Ru founded Sweetgreen in 2007. The sweet life. The founders are also big fans of good music. In 2010, they debuted the Sweetlife Festival, an annual concert featuring musical artists such as The Strokes, Kendrick Lamaar and Avicii. Who? FK Restaurants & Hospitality CEO Frank Klein shares an affinity for freshly prepared Vietnamese cuisine with executive chef Grace Nguyen. Chad Newton, Klein’s business partner, joined as culinary director, advancing the Box’s mission of creating bridges to local farmers and vendors. What they’ve built? Asian Box is a fast-casual gluten-free concept serving up authentic Asian street food. “What’s your Box?” goes the tagline. Menu items start at around $7 and diners choose from a variety of southeast Asian flavors and toppings to create a customized “box.” The company has added three new California locations since opening in Palo Alto and has plans to open a fifth store in Los Angeles later this year. Who? Coming from different backgrounds, the dynamic duo of Serena Dugan, a freelance artist, and Lily Kanter, a serial entrepreneur, came together through the shared vision of re-imagining the nursery, a vision they brought to life in 2003. What they’ve built? 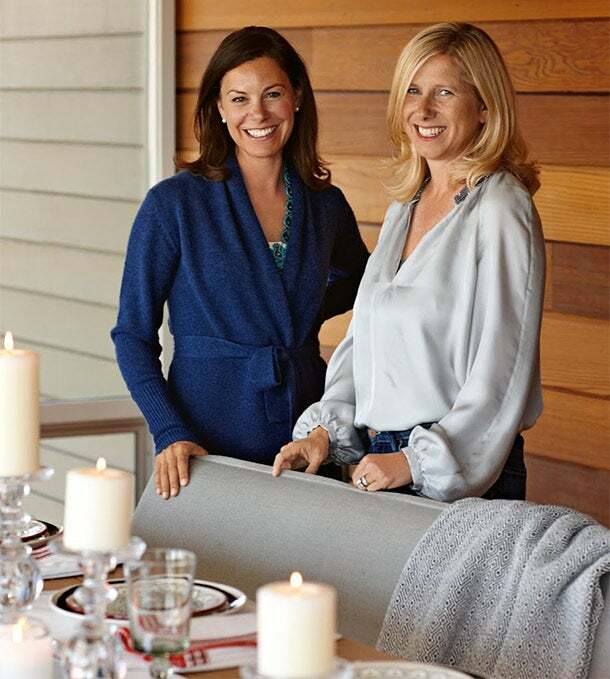 Serena & Lily designs and sells furniture. From its first collection of nursery cribs, the company has expanded its product line to furnish every room in the house. With a bustling catalogue business reaching more than 1 million households and a strong ecommerce presence, the company closed a $10 million credit facility with ORIX Ventures and made its foray into brick and mortar with its first location in the summer of 2013. The brand doesn’t disclose sales figures (it's estimated at well over $10 million) but it does say revenue is growing at more than 70 percent a year. Adios wholesale. In 2013, the company abandoned wholesale altogether, going 100 percent direct to consumer. It couldn’t have been an easy decision. It took them out of more than 650 retail doors, including prime real estate at Bloomingdales. But the deliberate move positions them to build more direct and meaningful relationships going forward. Who? Sue Lindstrom traveled the world collecting high-quality artisanal papers. She began selling them in Chicago in 1983 -- and so began Paper Source. What they’ve built? Paper Source sells a unique selection of fine and artisanal papers, invitations and announcements, personalized and distinctive gifts, gift wrap, greeting cards, custom stamps and a custom collection of envelope and cards through its company-owned retail stores. Headquartered in Chicago, Paper Source has grown to more than 80 stores across 23 states. Lindstrom sold the company to Los Angeles-based private equity firm Brentwood Associates in 2007. Sales grew more than 25 percent annually under Brentwood’s ownership to about $110 million before Brentwood successfully exited its investment in a sale to Investcorp in 2013. The Bahrain-based alternative-investment firm intends to triple the retailers’ store count to 250 units over the next five years. Who? Current CEO Blake Waltrip joined Ancient Harvest in 2013. What they’ve built? Residing in Boulder, Colo., Ancient Harvest (a Quinoa Corporation brand) was the first company to bring quinoa to the United States. Thirty years later it remains the premier brand selling organic, non-GMO, Royal Bolivian quinoa products. The company produces a variety of product lines: quinoa grain, pastas, flour, flakes, ready-to-eat polentas and macaroni and cheese. In 2014, the company launched hot breakfast cereals and flavored side dishes. For years the company grew modestly and predictably, fulfilling demand mostly from boutique supermarkets and health-food stores. That all changed five years ago. The product it introduced to the U.S. consumer -- low-calorie, gluten-free and high-protein -- exploded in popularity as awareness of its health benefits grew. Major retailers came knocking, and Ancient Harvest has been playing catch up with demand since. Prevent Magazine awarded Ancient Harvest with “Best Packaged Food,” for its commitment to clean, organic ingredients. 1. illuMask. La Lumière, LLC, the company behind illuMask, has a mission to democratize advanced skin-care technologies for home use. illuMask is an anti-acne light-therapy mask that uses blue and red light to fight the bacteria that causes acne. The company has multiple retail partners, including Walmart, Ulta Beauty and Target. 2. Awake Chocolate. Friends Matt Schnarr, Dan Tzotzis and Adam Deremo introduced their caffeinated chocolate to Canadian consumers in August 2012. The company’s Awake chocolate bars are packed with as much caffeine as a cup of coffee (or a 250ml energy drink). They sell two flavors -- milk chocolate, or milk chocolate with a gooey, caramel center -- and come in two varieties, snack-size bites or bars. 3. Bohemian Guitars. Inspired by the resourcefulness of musicians in their hometown of Johannesburg, South Africa, brothers Adam and Shaun Lee began making electric guitars from repurposed oil cans in 2012. A less expensive and unique alternative to traditional guitars, Bohemian Guitars are now available in both branded and vintage styles on the company’s website. Bohemian is a repeat winner, taking home a Fans’ Choice Award in 2013 as well. 4. 41Olive. This company is a young and growing olive oil retail concept in California. It prides itself in its extensive selection of flavors, from traditional to exotic, and invites consumers to try before they buy. Each of the company’s three locations host weekly cooking classes and demonstrations to educate consumers on the health benefits of olive oil, and how it can be mixed into their diet in fun, creative and delicious ways (all for free!). Never be bored in your kitchen again. 5. Tie Society. Tie Society is the “Netflix of ties.” A monthly subscription service for designer menswear accessories, it was founded on the belief that looking good should made be easier and more affordable. Through its website, customers can rent menswear accessories -- specifically high-quality neckties, pocket squares, tie bars and cufflinks -- wear them as long as they’d like, and exchange them whenever they want. Look good for less. Our process was comprehensive. But with more than 1.4 million privately-held consumer product and retail companies in the U.S., it’s likely we missed a few. Let us know who in the comments, and we'll include them as nominations next year.